Toronto Public Health has released a new report entitled, The Walkable City: Neighbourhood Design and Preferences, Travel Choices and Health. This report summarizes the findings of a Residential Preferences Survey that gauges public demand for walkable versus more auto-oriented neighbourhoods, and links this information with travel choices, physical activity levels and body weight. This is the first study of its kind in Canada. 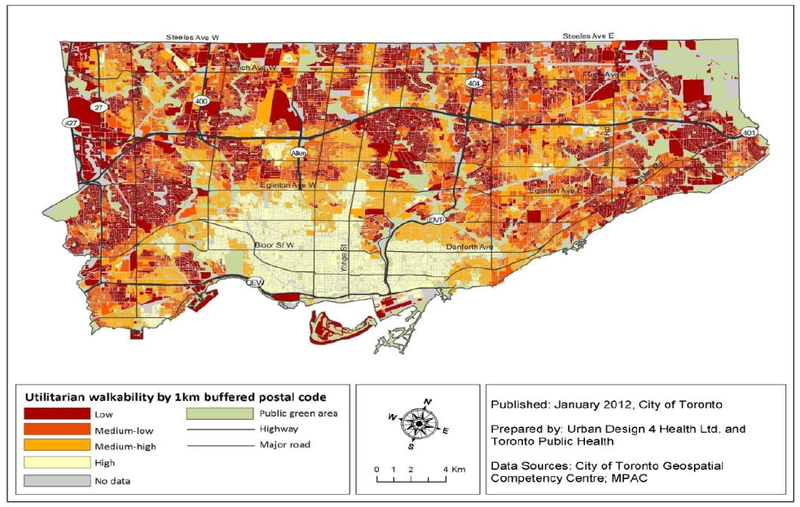 It provides unique data and findings for the City of Toronto and the Greater Toronto Area (GTA). The findings underline the important role that neighbourhood design plays on travel choices, physical activity and health. This original research was conducted as part of the Healthy Canada by Design collaborative project funded by the Canadian Partnership Against Cancer (CPAC) through the Coalitions Linking Action and Science for Prevention (CLASP) initiative. A 2-page backgrounder (PDF) provides the highlights of this report. A Toronto Walkability Map (PDF) is available which rates the walkability of neighbourhoods across the City. D-Day, as in Data Day has arrived in Canada. Statistics Canada has always charged to access much of its data but starting today – February 1st, 2012 – self-serve standard products available on the Statistics Canada website, which includes CANSIM and census data products, are now free of charge under the Statistics Canada Open Licence Agreement. For those of you who are not familiar with these resources, CANSIM (CANadian Socio Economic Information Management System) is a collection of time series data on a variety of different aspects of the Canadian economy and population. It covers over 10 million data series and is organized into tables. These tables used to cost $3 per time series table, which could prove costly if you were looking at a bunch of data over any length of time. In terms of Census data, much of it will be free, most often down to the Census Tract level. Census Tracts are small, relatively stable geographic areas that usually have a population of 2,500 to 8,000. Data at the Dissemination Area level (small area composed of one or more neighbouring dissemination blocks, with a population of 400 to 700 persons) will still require payment. Next week (February 8, 2012) is the first release of data from the 2011 Census and it will be interesting to see how this access to free data will shape local conversations. 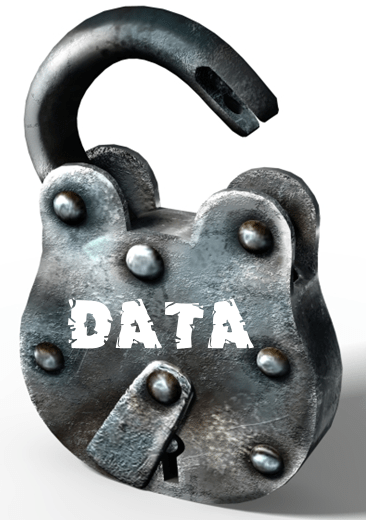 It is a fantastic boon for all data geeks! Nonprofit organizations and students will really appreciate this new pricing. Get ready Canada. The free data stream has started to flow!